No matter where you take the TRD Pro Series models from Toyota’s lineup you can be sure that these vehicles will overcome any obstacle. 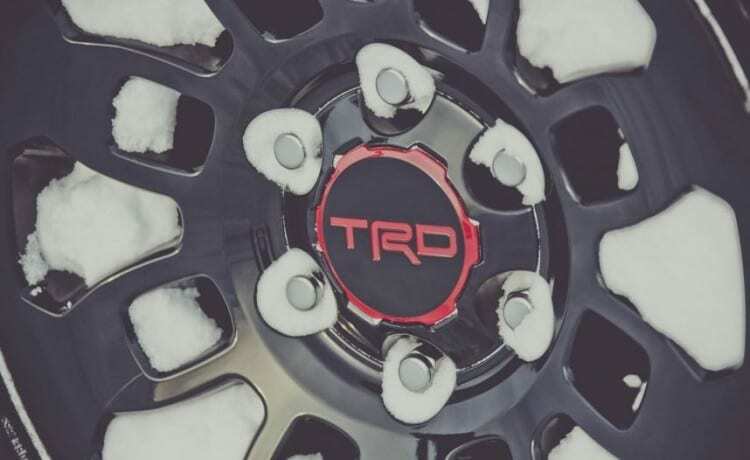 We could see trucks with TRD badges successfully competing in Baja off-road races where Japanese car maker proved reliability and toughness of their trucks for many times. For all those off-road fanatics that want to go everywhere, 2017 Toyota Tacoma TRD Pro will allow them to tackle most extreme road conditions. Any off-road course can be taken on and people that are driving regular cars can only dream about this. Without a doubt new Tacoma will set benchmarks in this category and competitors will need to follow it. Compared to standard version upgrades are numerous and we are getting improved and beefier suspension in combination with much more durable drivetrain making this one the go to the vehicle in the segment. The standard version of Tacoma already offers decent interior features so there was no need for a huge number of changes. Biggest improvement could be the introduction of new Entune infotainment system with navigation, premium audio system, Bluetooth connectivity and Toyota App suite, at least when compared to older models. Behind the steering wheel that comes with buttons to control various in-car systems, we have 4.2 inch TFT display that will deliver most important info about vehicle, trip, consumption and similar. As soon as you enter the cabin you will notice many TRD Pro details and it will clearly show upgrades over base models. The main purpose of this vehicle is to be taken on any road, this also means mud, snow, dirt and similar, as a result, Toyota decided to offer heavy duty floor mats with TRD Pro logos to protect your cabin. To further amplify the level of luxury and exclusivity we are getting TRD Pro brand logos on headrests, shift knob, etc. Features like leather seats, parking assist sensors, rear cross traffic alert and blind spot monitoring are standard. Read about Toyota 4Runner 2017! 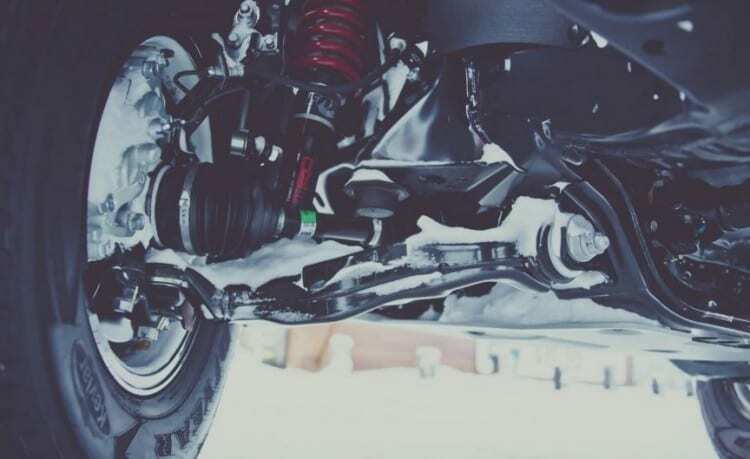 We have already mentioned that one of the key benefits the 2017 Tacoma TRD Pro model brings is the beefier suspension. To help out any driver on off-road excursion Toyota combines 1-inch lift shocks from Fox with internal bypass and sport TRD branded springs for front setup. To keep everything under control in rear segment there are progressive leaf springs and Fox dampers. To supplement this suspension setup 16-inch wheels in nice black color with red logo are added, plus, Goodyear Wrangler Kevlar reinforced tires so you can be sure that you are safe pretty much against anything road can give. When you compare the exterior design of truck like this one and standard Tacoma you will immediately notice much more aggressive front end that is dominated by a large blacked out grille and big company logo. To further increase the aggressive look we are getting hood scope above the grille while the swept back headlights bring projector units. The lower part of the bumper offers LED fog lights and strong plastics while aluminum skid plate is there to protect the engine and everything that might be damaged in case you approach any obstacle with higher angle than this truck can handle. Similar like predecessor of this new TRD Pro model we are now getting upgrades which help out with off-road capabilities but one of the things that could be further improved is the engine. Don’t get me wrong, the 3.5 liter V6 unit produces respectable 278 hp and 265 lb-ft of torque but we could see competition offering models in the similar segment with significantly more power. 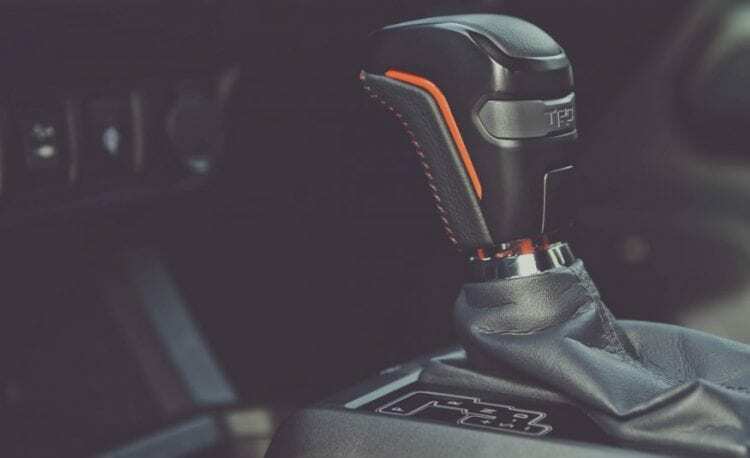 Tough looks are backed up with technology like limited-slip differential and electronically locking rear differentials meaning that grip in any condition will be at max possible level. This engine will be mated to six-speed automatic or six-speed manual transmission and one of the things we like on automatic version is that the crawl control system will be implemented. Crawl control works automatically and fully controls throttle and brakes so you can concentrate on your path and obstacles. Hill start assist is standard on both automatic and manual model while traction control system will use ABS to restrict power delivery to wheels without the need to adjust throttle pedal. On challenging off-road courses you will need all the help you can get and the new TRD Pro model has a lot to offer. Toyota brings Multi-terrain select system that has five modes, this will regulate how much wheel spin you are getting by adjusting traction control and throttle input together depending on the road condition and amount of grip each wheel has. In case that you find yourself on a steep hill, there is a good chance that your car starts going back when you move your foot from gas to throttle pedal, with the addition of hill start assist system this will not happen and you will be able to continue your ride safely. We can easily agree with claims that all wheel drive is great on low traction road but add traction control in this Toyota and it gets even better. In this particular case, we are getting A-TRAC traction control system, this is a more advanced four-wheel drive system with ABS system which is used to control delivery of power to the front and rear wheels. 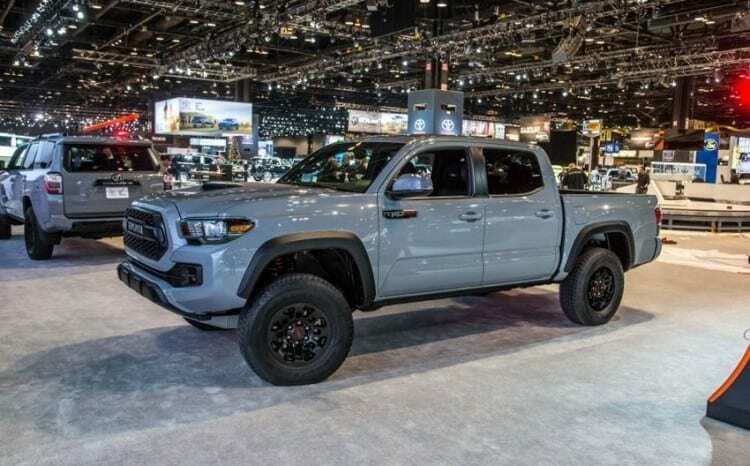 Chicago Auto Show that has been closed recently was the place where 2017 Tacoma TRD Pro was introduced and we could hear many positive comments. We also could hear speculations on this model starting price of about $36,000 but have in mind that this is not yet official. As the release date approaches more details will be offered and price with it also, expect the new version to be launched during the fall of this year. Return of the TRD Pro brand is obviously very important for Toyota and we could see three different models in the lineup with this badge. Upgrades that are coming are a clear result of Toyotas good feedback from its customers and that they do listen to buyers. For sure, we are getting one decent off-road package which allows drivers to go almost anywhere while getting upgraded look that is more appealing. There are still segments in which 2017 Tacoma TRD Pro can be improved but we are quite glad to see Japanese car maker working hard to improve its market position. What we would like to see changed with one of the future versions are the tires since BF Goodrich All Terrain could be a far better choice, especially in combination with beadlock-style rims that were available on older models. These are only small things and we are eager to test this truck on some wild off-road course and see what tough mid-size truck can do. Toyotas in general hold their value and this one ain’t no exception. I think the blacked out grille looks pretty sick. Reminds me of the FJ Cruiser.